Tips To Have A Great Month For Aquarius! June is the month to bring you many transformations and it concerns both you and the world around you. However, there is no reason why you should be worried or afraid. On the contrary, many of these changes will bring you significant benefits making you happier than before.  Other Astro factors will concern your dubious behavior. Half the planets will support your desire to move forward while others will cause lazy inaction. During the period, the best decision you may arrive at is to take only those steps that are sure to lead you to positive results. Much will depend on your mood, though – when you feel great it becomes easier for you to find solutions to all problems.